Malo is an energetic pack member. At the owner’s dying request, a hospice worker agreed to adopt him. Though well loved, Malo challenged the neighborhood with his howling and escapades. 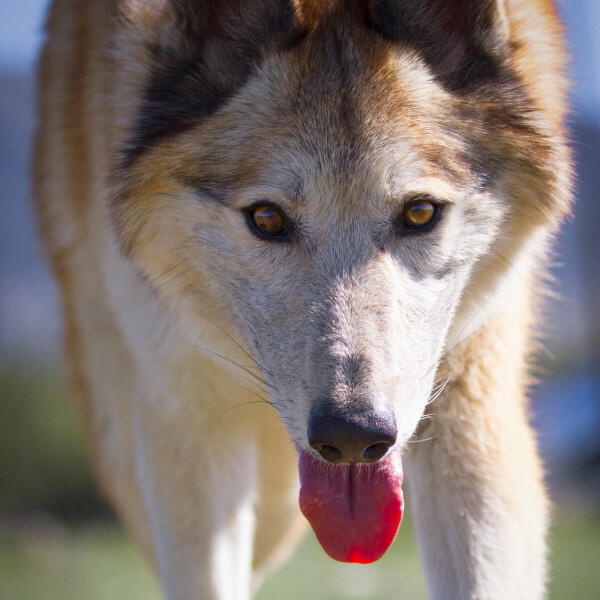 After Malo escaped to chase a few chickens and threats came in from the local community, the owners feared for his safety and found Wolf Connection. When he first arrived, Malo assisted with the training of new volunteers. He liked to block new volunteers from leaving his kennel. Because his previous owner had encouraged him to wrestle, it was a challenge to new volunteers to assert themselves and sufficiently ignore his poor behavior so he would lose interest and they could easily exit the kennel. Malo is well loved and presently pushes the boundaries with his kennel mate Willow, who puts him in his place.